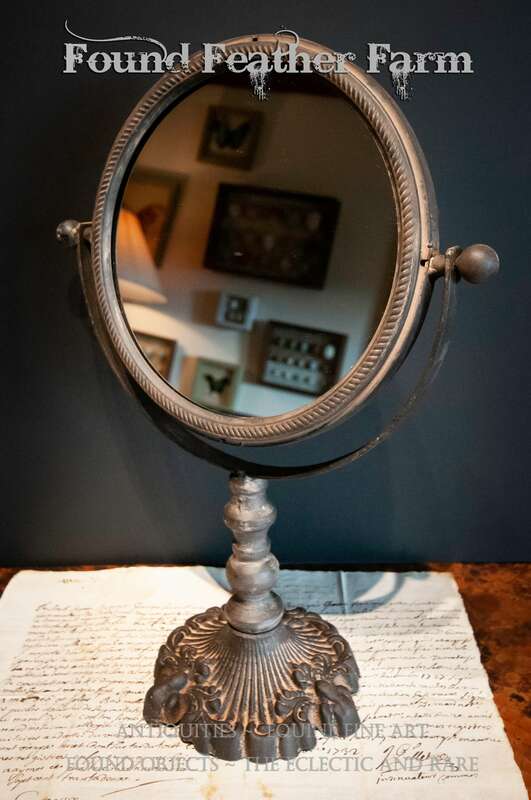 A beautiful vintage round cast iron pivoting vanity mirror. 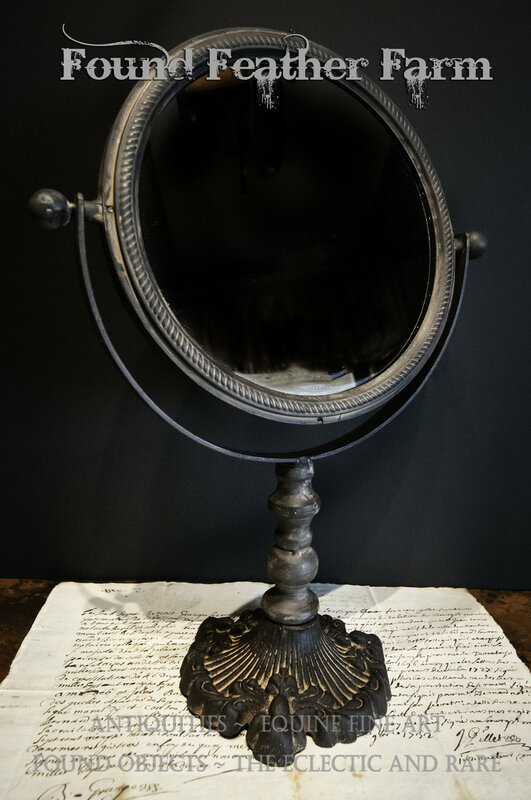 This mirror has a soft washed patina giving the iron a beautiful finish. 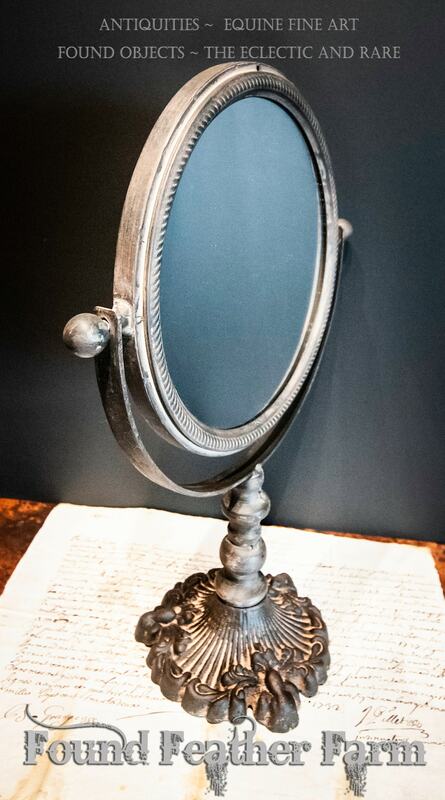 Perfect for a vanity or a dresser. 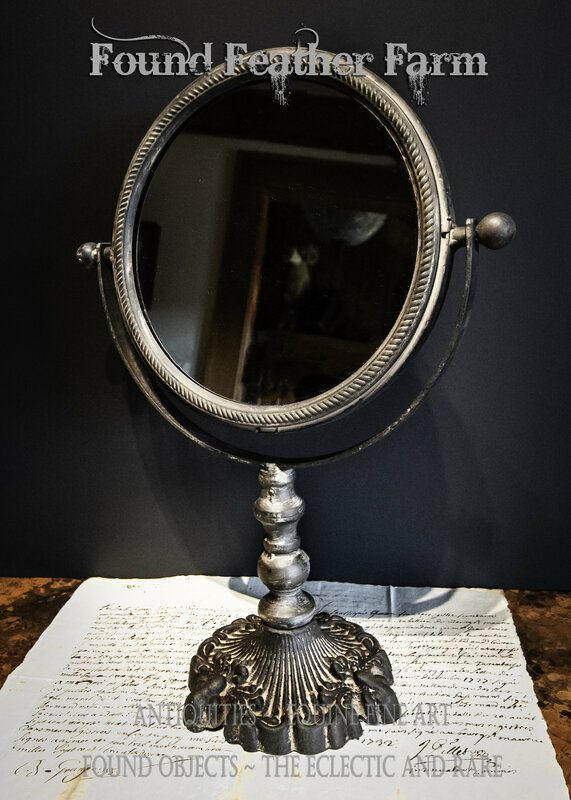 This mirror is both functional and also just lovely. 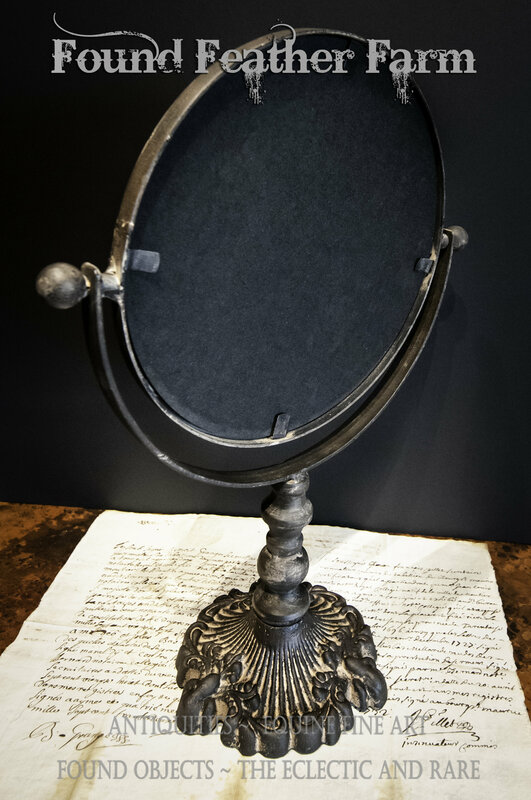 Size: Width 11" x Height 15" x Depth 5.50"